This week, my nieces' mom did the girls' hair. 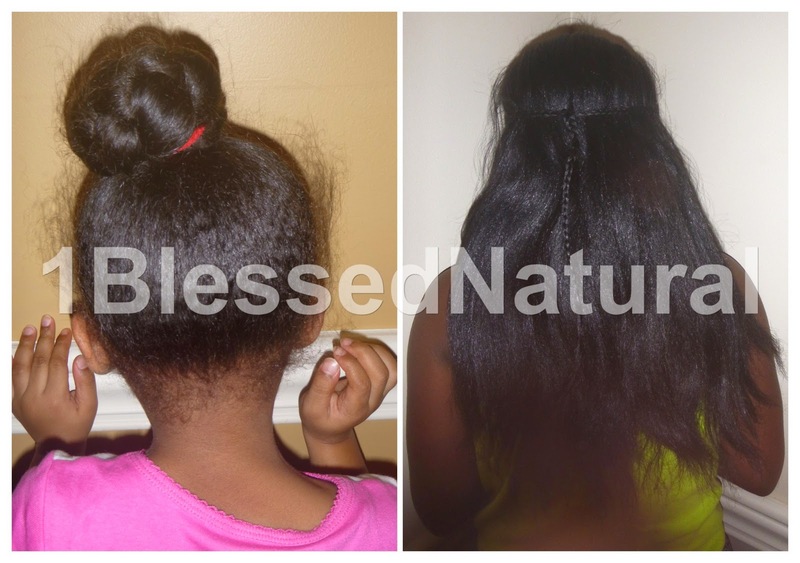 Big Sister Natural's hair was straightened and styled into a Bohemian braid style. She wore two cornrows in the front of her hair. Each cornrow came down along her sides and were connected into one braid above her ears, to the back of her head. The rest of her hair was left to hang loose in the back. Her mom lets her put her hair in a bun or ponytail. Little Sister Natural's hair was put into a braided bun. 4. Their scalps were oiled with Vitamin E. oil. 5. Olive Oil Moisturizer and EVOO (Extra Virgin Olive Oil). 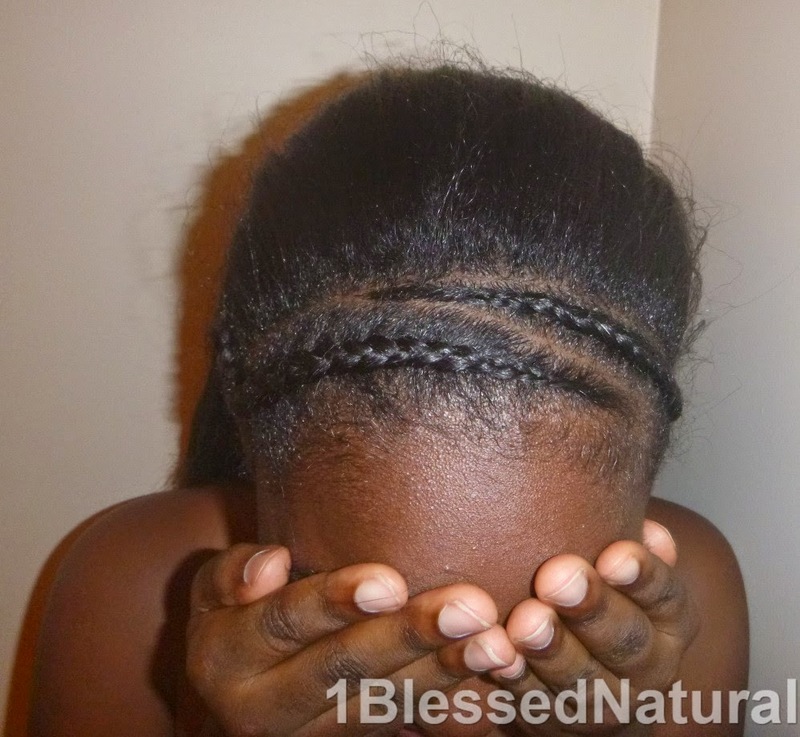 7. flat ironed using the comb chase method. The comb chase method is when you put the comb in front or back of the flat iron while you are flat ironing your hair. This method provides a straighter look and can reduce the number of times you have to pass the flat iron through your hair. 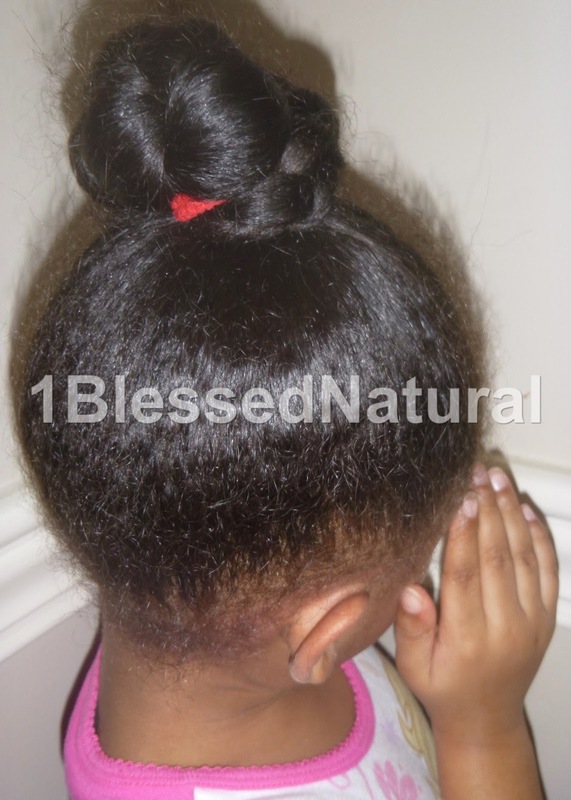 What natural hairstyles are your kids wearing this week? 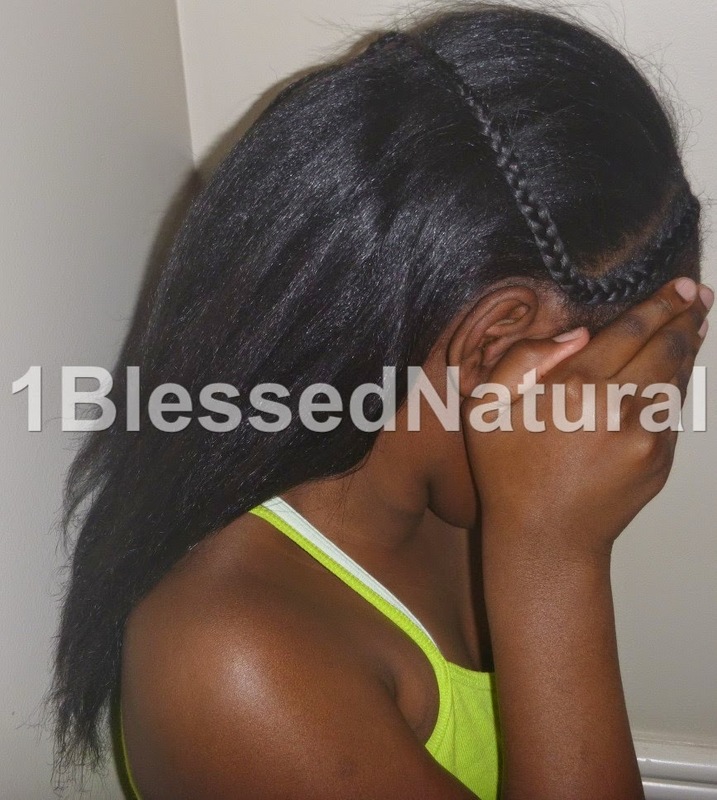 Related Articles: Dear 1BlessedNatural, I'm Tired of Doing My Kids' Hair!